Ice bubbles at Abraham Lake, Alberta | Abraham Lake, Alberta. Trying to find an area of Abraham Lake with decent ice bubbles was tough, especially when you only have a few hours to explore the lake before sunset. 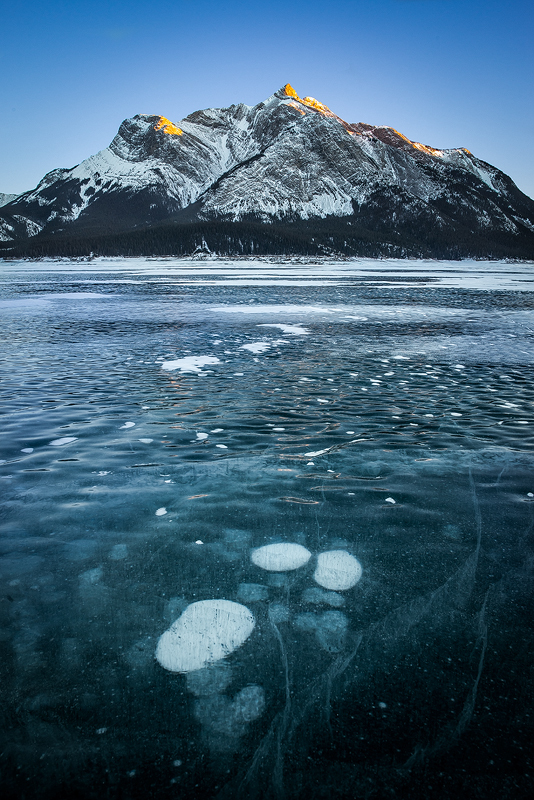 I was lucky enough to find these bubbles just as the last bit of light was hitting Mount Michener.